Need to hire on Upwork (formerly oDesk)? It isn’t easy. In a “traditional” work environment, you can conduct face-to-face interviews and assess job applicants against some criteria. But, when you hire on Upwork or other similar virtual environments, it’s more complex. You don’t have the benefit of shaking people’s hands, making eye contact and picking up on non-verbal cues that reveal their suitability for the job. It simply isn’t the same. 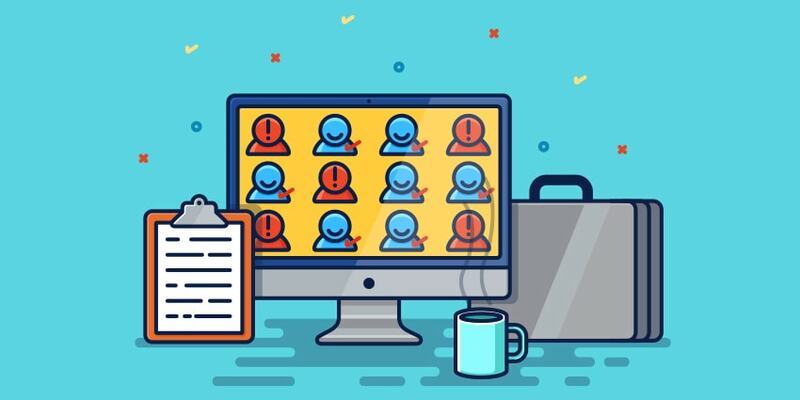 So, how do you make an informed staffing decision when hiring virtual employees on Upwork? Unfortunately, there isn’t jut one thing to look for when it comes to hiring remote workers. Our best advice? Communicate. Make sure you’ve given your freelancers everything they need to be successful before jumping to conclusions about their work ethic. That said, beside legit hires, there are still certain personalities you should avoid anytime you hire on Upwork. Consider these as warning signs. If a freelancer displays any of these and your communication efforts aren’t getting through, don’t feel bad about ending the relationship. This one start offs on a good note. You hire them and they start working on your project. Then suddenly and without warning, they stop answering your emails and messages. This is one of the most difficult personalities to spot before it’s too late. Everything seems to be moving along smoothly. You have probably spent a good amount of time training the contractor or getting them up to speed on a project. After a while they go silent, fail to bill you, fail to upload any work and totally ignore you. Unfortunately, there are many freelancers who are on sites like Upwork as a side hustle. Other things in their life take priority as maybe they’re transitioning to freelance or just getting started. As a business, that might leave you on the hook if a freelancer abandons a project for other priorities. If someone disappears on you then comes back after some time and still doesn’t have the work completed, you might want to end the relationship at the earliest opportunity. For the most part, it’s easy for freelancers to send a quick message saying they’ll be unavailable or something came up. If they haven’t contacted you at all or you’ve followed up with no response, it might be best just to part ways and move on. Also, when you hire freelancers on Upwork, check their work history thoroughly. Avoid people with bad or no reviews on Upwork despite how good their resume looks or how fair their rates are. Every profile includes a work history section, where you can see the projects they’ve completed and what they charged, along with star ratings and client feedback. You want the freelancer you choose to have plenty of five-star ratings and positive reviews. Getting work on sites like Upwork isn’t easy for new contractors (which is why it’s important to communicate as discussed earlier). It takes a lot of time and hard work to build up good reviews and work history. Which means some people may fake resumes and lie about having worked for big firms just to build their profile. Upwork profiles can also be hawked in online black markets. There are crooks out there who specialize in creating accounts, get them nice but fake reviews using multiple buyer accounts and then sell them to freelancers who don’t want to take the time to build a genuine profile. You can tell your freelancer is fake if the work submitted isn’t of the same quality as promised in the bid or as displayed in the profile and portfolio. For example, assume you hire a writer with excellent samples in their portfolio only for them to turn in work that reads like it was written by a six-year-old. It’s safe to assume you were duped. You can ask for revisions, or if you’ve already paid, you can ask for your money back or start a dispute process. If you’re using time tracking with screenshots, another variation of the fake is someone whose screenshots all appear to be the same, yet the freelancer has maxed out on the allowed billable hours and the job isn’t complete. Using a work tracking tool to capture screenshots can safeguard against this. This type is always asking questions and seeking clarification but never really gets down to work. They will flood your inbox with endless questions, clarifications, and arguments. Most of these types are techies. In extreme cases, they will assume they know what your project needs better than you do. And, they may even belittle you or insult you subtly by failing to explain what technical information they need. Again, communication is everything. If a freelancer has a lot of questions, perhaps you haven’t explained the project well enough. In this case, it’s best to jump on a video or phone call and hash out the details so you can move forward. When communication isn’t the issue, these relationships can cause a lot of damage within a very short period of time. If a freelancer is still sending a barrage of questions after multiple emails back and forth and no work is being done, cancel the project and ask for a refund. You are better off hiring another freelancer. Some people are ready and willing to work for next to nothing. In many ways, you get what you pay for. If a freelancer offers to do what looks like a considerable amount of work for a rate that no one can live on anywhere in the world, you better be careful. It is best to pay a decent wage and be assured of quality. In some cases, freelancers who are just starting out may charge less in order to build their work history and portfolio. That’s why it’s important to communicate with the freelancer you’d like to hire before making snap judgements. While there are wage differences across boundaries, some rates are simply too low regardless of where in the world you live. Take, for example, someone offering to code a website for $5 or write a 500-word article for $3 …really? Know what it costs to complete your project, and then find the best professional within that budget. The fraud is a total crook. Sites like Upwork are constantly on the lookout for illegal activity being perpetrated on their platform. Unfortunately, they don’t always weed them out in time. The biggest problem affects writing and coding jobs. When you hire writers on Upwork, you have to be careful you don’t receive plagiarized content. Always check the work using a plagiarism checking service to make sure you haven’t been sent content that was ripped off another website. Also, when you hire web developers, make sure to clarify if you want a custom template. The same goes for any images used on your website. The developer must have the legal right to use them. Demand to be shown where images were sourced and confirm that they are royalty free, purchased stock photography or creative commons images. The best case scenario may be to provide your own proprietary images or buy stock yourself so you have the rights in your business’s name. Using intellectual property without permission can land you in serious legal trouble. Hire on Upwork – Can you Hack It? Sounds tough, huh? You are probably wondering how on earth you would be able to spot these five personality types before it’s too late. The truth is, most freelance relationships go off without a hitch. When you do your research, know what you’re looking for and have a reasonable budget in mind, sites like this one can be much easier to navigate. When in doubt, communicate. Ask for clarification, ask for an update if you haven’t heard from someone in awhile, ask for work samples if they seem new to Upwork. However, spotting a scam right away isn’t easy. That’s part of the reason we created Hubstaff for accurate time-tracking and remote employee management. Knowing what your team is doing instead of micromanaging and constantly checking in is a better way for everyone to work. The more detailed your description, the more accurate of a match you’ll attract. Beware, if you get too detailed, you may end up excluding too many people and not having enough to choose from. Try to keep a happy medium where your description will insure those who apply understand the extent of what you’re looking for without scaring off quality candidates. Sometimes Upwork’s abundance of resources can work against you. You might get people who send out a blanket application to multiple jobs (some they are not qualified for). One way to speed up the application review process is to add a line in your job description that will help you tell who is serious about the job and who is not. One example, ask specifically for their years of experience or for a work sample of a project related to what you’re requesting. The ones who have the experience or specify the answer will have read the application. If you’re doing a project that needs more explanation or requires a certain skill, don’t be afraid to interview your potential candidate. This can be as simple as a few message exchanges on Upwork, email or via instant message. You can even take it a step further and do an interview via Skype, but don’t be offended if someone doesn’t want to meet face-to-face or give you their personal phone number. Without a previous relationship with you, they may not feel comfortable giving out such personal information right away. Don’t use this against them, but you should at least try to have a conversation via Upwork before the project to ask any questions (or have them ask you questions) to help you verify you’ve selected the right person for the job. As mentioned above, Upwork and other freelance sites come with reviews where freelancers are rated by those who they’ve worked for before. Be sure to read through their references to give yourself a better idea of what type of a worker this person is and if they’d be a good fit for your project. Keep in mind that these reviews are a two-way street so freelancers will be able to rate what you’re like to work for, which may help or hinder you in the future. Make sure you have a list of priorities for your project beyond specific requirements for the work. Think about things like how they prefer to communicate, how and when they’re available to work, what previous clients have said about them, etc. These are all available on their profile and though they are not project-specific, they should be taken into account when selecting the right candidate. In the end, you need to trust your gut. If someone gives you an uneasy feeling or wants you to change terms of your project that you’re uncomfortable with, trust yourself and keep looking for that perfect candidate! Finding resources for your next project is right at your fingertips with resources like Upwork. However, you have to be willing to put in the work to find the right candidate. Sometimes it’s necessary to use multiple platforms to find the perfect fit for your project. For this type of work, you can find freelancers on Fiverr, Linkedin and Hubstaff Talent. This post was updated on December 28, 2017. Yes, team failure is difficult, but it’s also an inevitable part of the business world. If your team hopes to have any kind of sustained success, you’re occasionally going to run into setbacks, and you’re going to have to learn not only how to bounce back but how to thrive in the wake of failure….